Two trade unions have filed an application in federal court to force the federal government to reverse its decision to grant some 200 work permits to temporary foreign workers from China that a Canadian company wants to hire to run a new mine in British Columbia. 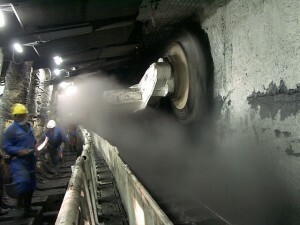 The International Union of Operating Engineers and the Construction and Specialized Workers Union, which together represent the majority of workers employed in Canadian mines, are asking for a judicial review to over-turn the Canadian government’s grant of Labour Market Opinions (LMOs) to HD Mining International, the operator of the Murray River project near Tumbler Ridge, BC, near the Alberta border. The unions argue that the decision harms Canadian wage-earners and does not meet HRSDC’s own standards for receiving approval to hire temporary foreign workers. We have been successful in court so far. We have been granted standing by the court to challenge the federal government on these LMOs, and we have succeeded in forcing them to release more than 85 pages of secret documents, despite their strong objections. We are now continuing to seek a full judicial review of the temporary foreign workers program. Included among the documents disclosed is a transition plan that HD Mining International submitted to HRSDC in its LMO application, which outlines how it said it will replace its temporary foreign workforce with Canadians over a period of 14 years. The transition plan calls for the first Canadian workers to begin working at the mine in four years, and for 10 percent of the foreign workforce to be replaced by Canadians every year for the next 10 years afterwards, as they are trained. To demonstrate its intention of following through with its plan and eventually hiring Canadians, HD Mining recently signed a memorandum of understanding (MOU) with Northern Lights College to develop an underground mining education program that will train Canadians for positions in the mine. The transition plan is touted by the mining company as evidence that the use of foreign workers will be temporary, while the unions and other critics of the foreign worker decision say that the 14 year length of the transition period shows the Temporary Foreign Worker Program is being mis-used for long term labour needs. The unions’ court challenge of the HRSDC’s LMO decision on HD Mining and the subsequent media attention it received spurred the federal government to announce a review of the entire Temporary Foreign Worker Program (TFWP) to determine if it was too lenient in granting work permits. The review comes amid a steadily increasing temporary foreign worker population, from approximately 100,000 in 2002 to over 300,000 today, which has drawn criticism from a diverse coalition that includes labour union advocates and free-market economists. In one example, SFU economist and senior fellow at the free-market-leaning Fraser Institute Herbert Grubel last month called the TFWP a subsidy for business that comes at the expense of lower Canadian wages, a statement that is virtually indistinguishable from many that are coming from much more left-leaning labour unions. Much of public opinion is also cool to the foreign worker program, with a CBC/Nanos survey this month showing that 68 percent of respondents said they were against allowing temporary foreign workers into the country if there were Canadians looking for work who are qualified for the same jobs. Despite the opposition, there is no sign that the demand for temporary foreign workers from Canadian businesses will slow down soon, as companies in the resources sectors find it difficult to meet their labour needs in often inhospitable locations, and various occupations that are undesirable to Canada’s workers for the wages offered face labour shortages.